Georgina Campbell Guides is a family-run, hospitality guide & cookbook publishers with a big reputation, that specialises in Irish food, hospitality & travel. 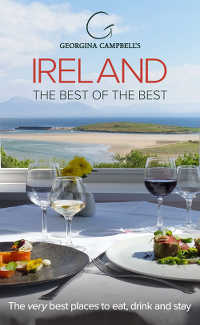 As Ireland's leading independent hospitality guide we will lead you to the very best places to eat, drink & stay wherever you are on the island of Ireland. 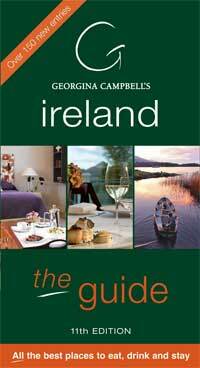 Established in 1997 by Georgina Campbell, Ireland's leading food and hospitality writer (see bio below). 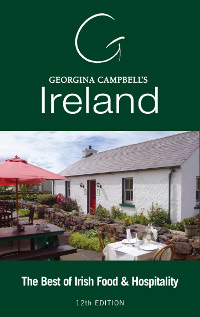 The Irish company’s flagship products are Georgina Campbell’s Ireland – the Guide (All The Best Places to Eat, Drink & Stay) and its associated website and mobile phone applications. At Georgina Campbell Guides all of our guides, website and mobile phone applications are based on the respected principle of independent assessment and publication of a guide selected entirely on merit. (Additionally, accommodation establishments must be registered in order to be considered for recommendation.) 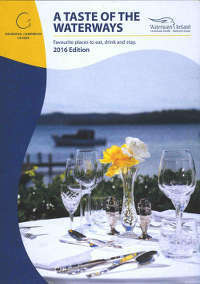 Entries are free of charge to recommended establishments, selected after anonymous visits by our assessors; establishments cannot pay into any Georgina Campbell Guides, or advertise in them. 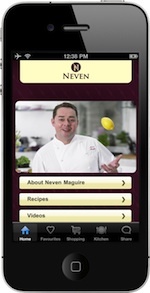 We believe that this model is the best for consumers as it ensures that we cover all areas/regions of the island of Ireland without any vested interest, ensuring that the very best, hardest working, quality-driven hospitality establishments are being promoted to you the consumer at no cost to them ie no barrier to recommendation except for quality. These ongoing anonymous visits, together with the information we receive from questionnaires that are sent out each year, ensure that the entries you read are constantly updated and edited as required; similarly, the system ensures that new recommendations are added as they come on stream, while those closing down or no longer making the grade are dropped. As the longest-running independent hospitality awards in Ireland The annual Georgina Campbell Guides Awards are highly sought after. The award winners are selected based on the reports and findings of our annual assessment process - all recommended establishments are considered for all relevant awards each year with there is no charge for entry or for winners. 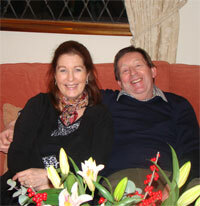 In 2005 Georgina’s son, Bob Nixon, joined the business and, recognising the opportunity that the internet held for the business, took on the responsibility of developing the technology side of the company. Following a great deal of investment, in both time and resources, ireland-guide.com was relaunched and immediately became a strong on-line presence from which to reach our readers both at home and abroad. From the international tourist researching their holiday/vacation to the office bound professional seeking a spot of lunch, we cater for every discerning traveller’s and diner’s needs. 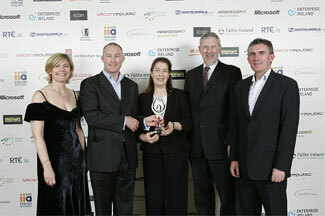 Ireland-guide.com now receives in the region of 150,000 unique visitors each month from Ireland, the US, the UK and many more countries and it is one of the most popular hospitality & travel websites in Ireland and one that has enjoyed critical acclaim, having won a number of awards. 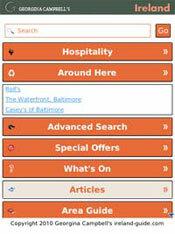 This website is an extremely good place to research a holiday or an outing initially, but we would also recommend downloading one of our award winning mobile phone applications (currently available for iPhone, Blackberry, Nokia & Samsung Bada). 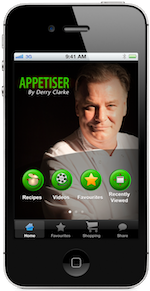 This will ensure that you will find the very best places to eat, drink and stay wherever your travels take you in Ireland. Please find out more about our company and Georgina Campbell below - and Enjoy Ireland! 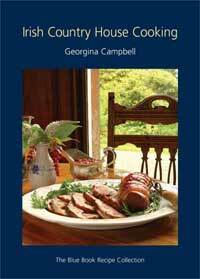 Georgina Campbell is one of Ireland's leading food and hospitality writers. Her widely-read columns in the Irish press have earned her many fans for their practical and down-to-earth approach - and, for the last thirteen years, the same honesty has applied to her comprehensive and critically acclaimed independently assessed guides to Ireland's best places to eat, drink and stay, 'Georgina Campbell's Ireland - the guide' and its companion volumes, including a unique guide to the best places to eat and drink along the inland waterways of Ireland, which is now published in association with Waterways Ireland. Georgina’s other writing includes regular contributions to Food & Wine Magazine and, in addition to the guides, she has written a number of books on Irish food including "Good Food From Ireland" (now out of print), "Meals For All Seasons - The Best of Contemporary Irish Cooking" (limited availability), "The Best of Irish Breads & Baking" (reprint pending), “Irish Country House Cooking”, "From Tide to Table". 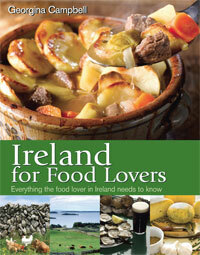 and, most recently, the food tourism book “Ireland for Food Lovers”, which is a combination food/hospitality guide and cookbook. Educated at Queen’s University Belfast and Trinity College Dublin and with a spell teaching at Cathal Brugha Street (‘Business English and Restaurant French’! 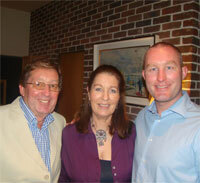 ), her career in food writing began in the mid 1970s. A decade later, international guides were beginning to show interest in Ireland and work with Fodor’s proved an interesting development. Egon Ronay’s Guides – famed for their independence - then sought an Ireland editor and, after several years when Ireland was still a small section at the back of the main UK guide, a dedicated Ireland Guide was published annually with Georgina as regional editor until Egon Ronay’s Guides ceased publication in 1997. And the rest, as they say, is history. In order to retain and develop this valuable knowledge of Irish hospitality, Georgina Campbell Guides was established at that time and has continued the ethos of independent assessment. 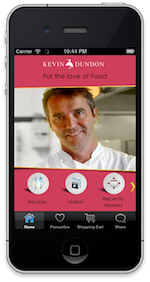 Publishing books – some cookery as well as the guide books – continues to be a core part of the business, but major changes in recent years have brought the award winning website, Ireland-guide.com, to the fore; and it is now the main focus, together with our mobile phone apps. Georgina is a founding member and former Chairman of the Irish Food Writers Guild, a member of Britain’s Guild of Food Writers and also a member of the International Slow Food Movement. Georgina Campbell was born into a farming family of Irish/Scots background in post-war Cornwall – very like West Cork, with small mixed holdings, mainly dairy and early vegetables and flowers which were sent up to Covent Garden on the overnight train. Highlights were enjoying milk warm from the cow, churning butter, making soft curd cheese and – best of all – clotted cream; collecting the warm eggs from the chicken runs was always fun – not so seeing their necks being wrung, when destined for the pot. As well as having a father with an experimental streak (some of the produce sent to market was way ahead of its time, and proved a mixed success), her mother was a cookery teacher – so the dye was cast, and all four children took up food and/or hospitality professionally in various ways.